The 1,000th race in the running of the Formula One world championship since 1950 will be this year's Chinese Grand Prix at Shanghai on April 14. In a season of curiosities, and after an off-season of many driver and team changes, only two teams have retained their driver line-ups from 2018 -– Mercedes and Haas. The former Force India team has changed its name to Racing Point and will have Lance Stroll, son of the new owner Canadian billionaire Lance Stroll alongside retained Mexican Sergio Perez. The Swiss Sauber team has changed its name to Alfa Romeo Racing. Daniel Ricciardo's beaming smile will be missed at Red Bull after the Australian's move to Renault where he will be under scrutiny alongside respected Nico Hulkenberg. The Australian has been tipped as a future world championship contender, but struggled to outshine Dutch tyro Max Verstappen in recent seasons. Verstappen intends to shake off his 'Mad Max' label and emerge in 2019 as 'Mature Max' as he leads Red Bull's bid to pressure champions Mercedes and Ferrari. His new team-mate Pierre Gasly faces a major task to keep pace and has crashed heavily in testing. The team has warned him to take more care. (Click here for more information about these introductions). New extra-protective helmets, capable of resisting a metal disc fired at 250 km/h, are to be introduced this year. The helmets must also be resistant to a 790-degree Celsius flame, an air rifle shot at the visor and a 10-kilo weight dropping on it from five metres. 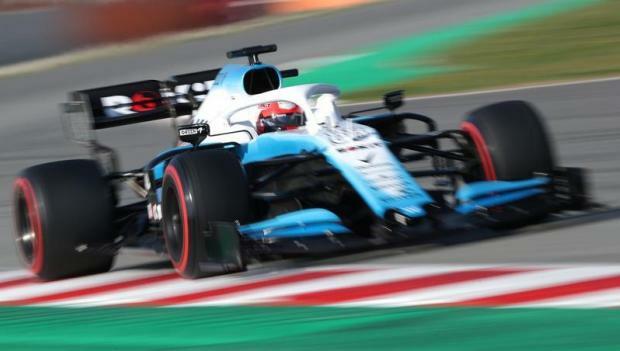 The cars will have simpler front and rear wings and smaller barge-boards following aerodynamic rule changes, overseen by Ross Brawn, to assist overtaking. The teams were unconvinced, after testing, that the moves had made much difference. A new range of tyres have been prepared by Pirelli to be supplied in a range of only three colours –- red (soft), yellow (medium) and white (hard). They replace the "rainbow" range of tyres used and seen at races last year. Kubica comeback – romantic dream or true return? Robert Kubica was heralded as a certain race winner and possible future champion when he became Formula One's first Polish driver with Sauber in 2006. This season, however, back after an eight-year absence following a massive rallying accident in 2011, he is fighting to prove he deserves his comeback seat with struggling back markers Williams. His crash in the Ronde de Andora rally in February, 2011, was expected to end his career, but despite almost severing his right forearm, he battled back. He now drives 70 per cent left-handed, but is adamant he can survive and succeed. "It is a different situation for me and there is a way to change your mind and learn a new way. I have discovered how powerful the brain can be," he said.